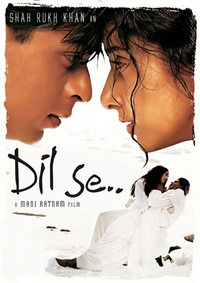 Review Summary: 'Dil Se' is a treat to watch. The visuals, the music and the haunting score are stunning. As Shah Rukh Khan turns 40 on November 2, we at rediff.com decided to look back and recommend some of his best films to you on DVD, as part of our regular Weekend Watch feature. Please write in if you'd like to recommend any particular SRK classic.